Every two years like clockwork since 2005, Paramore fans have had a new album in their hands. 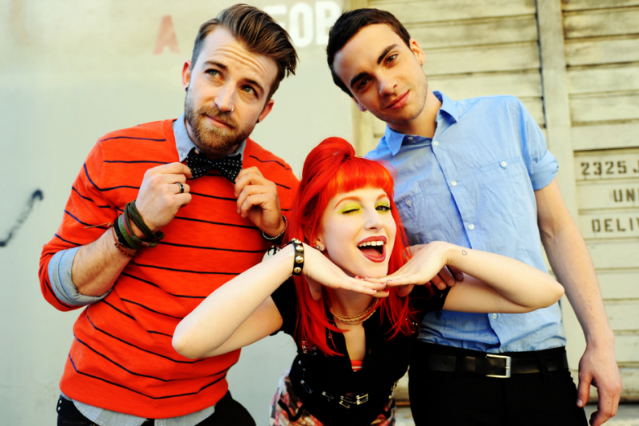 But the band underwent a considerable series of changes since the release of 2009’s Brand New Eyes (members Josh and Zac Farro announced they’d be exiting the group in December 2010) and as frontwoman Hayley Williams reports straight from the studio, the recording process is going very differently this time around for the new trio. “In case you can’t tell, we’re working on a pretty strange schedule, by our standards,” she writes in a new blog post on the group’s official website. “There has never been so much time and care put into a Paramore album. Usually, we are rushing to make a very strict deadline which so far has just not been right for this record.” What does that mean for fans who’ve been tided over by the band’s performance at Fueled by Ramen’s 15th birthday show, a video here and there, a performance with Taylor Swift, and three singles club releases? “We cannot assure you it will be out this year,” Williams writes. But Williams tells fans the band is making progress. They hit the studio last week with Justin Meldal-Johnsen, the former bassist for Beck and Nine Inch Nails who produced M83’s 72-minute 2011 whopper Hurry Up, We’re Dreaming. (M83’s Anthony Gonzalez thanks you for keeping his band’s name in the news!) The track they did together is called “Daydreaming.” Considering Paramore’s latest releases have strayed from pop-punk, dare we hope for some spacey, “Midnight City”-esque electro? Williams ends her post by promising fans won’t have to go such a long time without an update on the album again. Here’s to hoping Paramore aren’t the new No Doubt when it comes to studio teasers.